Happy December 1st! If you're like me, this is the point where the snowball effect starts to happen-- it's December 1st, and then all of a sudden it's Christmas Eve and you have NO idea where the last three weeks just went. 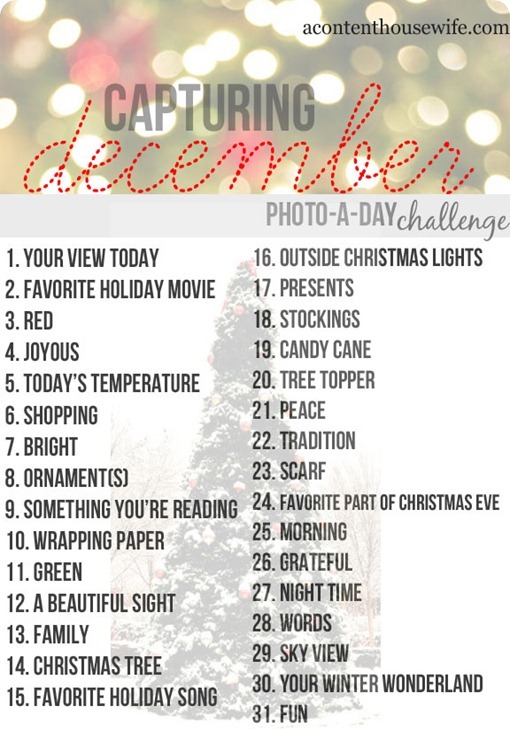 Well, here's a great idea to help you stop and celebrate every day this month. It's the Capturing December: Photo-A-Day Challenge, hosted by A Content Housewife. Today's theme is "Your View Today." I would like to subtitle it "Honesty," because my house is a big mess and I'm about to give you photographic proof. And also, in the next couple weeks when I post pictures of everything finished and beautiful and clean, you will know that it is an illusion and that my house only looked like that for the .5 seconds it took to take that picture, and then my children probably came along and dumped building blocks all over the floor or I got several boxes from UPS or something else happened to make it not perfect. And that's okay, because this is our house, not a museum. We live in it. You know what I mean? For those of you who don't know, I am a consultant for Biltmore Inspirations and the company is going out of business on December 15th. These boxes represent business supplies that I have to figure out what to do with. And just so you know, everything is 40%-75% off right now, and if you'd like to check out the sale you can do so on my website. This room is all turned around. The love seat that usually goes in here has been relocated to the den in order to make room for the Dickens Village table and the Christmas Tree. The boxes with the red tops are my ornament storage. They need to go back in the attic. The blue box has the garland that needs to go around my front doors. And the other boxes are Christmas gifts. This is the room that we use the most, therefore it is the room that has the most stuff in it. I had to move some stuff in order to make room for the tree, and I have not yet figured out where to put the displaced stuff. Also I need to vacuum. And hang the stockings. And finish the mantel. I'm tired, y'all. Tomorrow is an easy one-- my favorite Christmas movie!